Agriculture Undersecretary for Food, Nutrition and Consumer Services Kevin Concannon today announced that USDA is making permanent the current flexibility that allows schools to serve larger portions of lean protein and whole grains at mealtime. USDA has worked closely with schools and parents during the transition to healthier breakfasts, lunches and snacks. Based on public feedback, USDA has made a number of updates to school meal standards, including additional flexibility in meeting the daily and weekly ranges for grain and meat/meat alternates, available to schools on a temporary basis since 2012. USDA is focused on improving childhood nutrition and empowering families to make healthier food choices by providing science-based information and advice, while expanding the availability of healthy food. 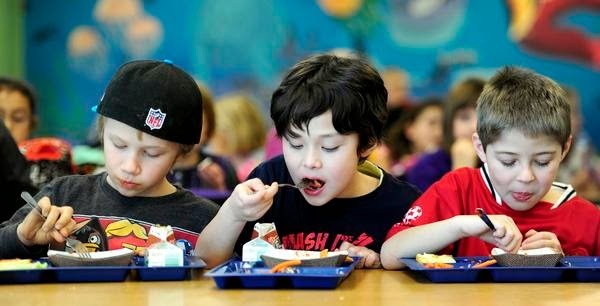 Data show that vast majority of schools around the country are successfully meeting the new meal standards. In November 2013, USDA issued an additional $5 million through the Farm to School grant program to increase the amount of healthy, local food in schools. USDA awarded grants to 71 projects spanning 42 states and the District of Columbia. USDA's MyPlate symbol and the resources at ChooseMyPlate.gov provide quick, easy reference tools for teachers, parents, healthcare professionals and communities. Schools across the country are using the MyPlate symbol to enhance their nutrition education efforts.